Join us for the launch of the newest Zoe Chambers book, 'Fair Game', by USA Today best-selling author, Annette Dashofy. Zoe Chambers mystery series about a paramedic and deputy coroner in rural Pennsylvania’s tight-knit Vance Township. She has twice been a finalist for the Agatha Award (Best First Novel of 2014 and Best Contemporary Novel of 2015) and NO WAY HOME has been nominated for the 2017 Agatha for Best Contemporary Novel. CRY WOLF, the seventh in the series, was released in September 2018. Paramedic Zoe Chambers hoped a week at the Monongahela County Fair, showing her horse and manning the ambulance, would provide a much-needed diversion from recent events that continue to haunt her. An old friend, a bossy nemesis, and a teenage crush from her 4-H days fail to offer the distraction she had in mind. But ever the caregiver, she soon bonds with a troubled teen and a grieving father. Back in Vance Township, a missing woman turns up dead, leading Police Chief Pete Adams into a journey through her mysterious final hours. With each new clue, the tragic circumstances of her death grow increasingly muddied. 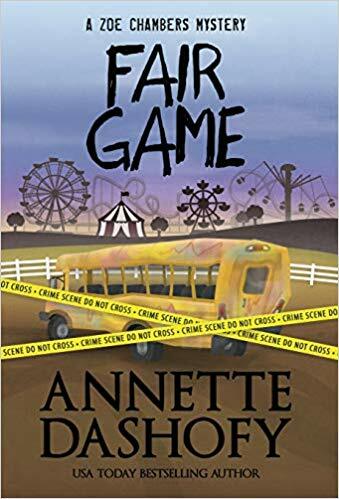 A cryptic phone call leads Pete to join Zoe for an evening at the fairgrounds where the annual school bus demolition derby concludes with a gruesome discovery and a new case that may or may not be connected to the first. Pete's quest for the motive behind two homicides--and Zoe's stubborn determination to reunite a family--thrust them both onto a collision course with a violent and desperate felon.